The Pal Pre is to get a UK update, a full week after the handset was updated in the US. The WebOS 1.3.1 firmware update brings with it a number of feature improvements, but there is still no sign of the phone linking up nicely to iTunes. What you will get is support for a range of business-orientated features, including LinkedIn and Yahoo. These apps will appear in your contacts and calendar if you want them too. 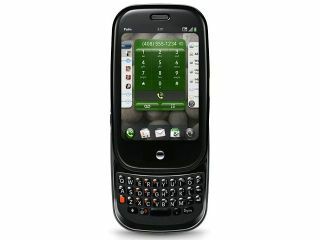 This is all part of Palm Synergy, which already boasts support for Facebook and Google. There's also a number of small fixes in video watching, security and music playback. The download is 134MB so it will have to be done through a high-speed internet network, so if you are near one then switch to Wi-Fi and you will be updated. If you are too busy using your phone to wait for the firmware to update then Palm will automatically pipe it to your phone over the next few days over 3G and when your phone is idle. Palm is also noting that you will see some improvements to email and messaging. This includes better 'copy and paste' functionality. For more information on the handset, read TechRadar's in-depth Palm Pre review.